Mark Kriss, Macroclimate’s Co-Founder & Managing Partner, first became intrigued by portfolio management in 1998, while attending Stanford’s Executive Program in Financial Management. Particularly inspiring was Nobel laureate William F. Sharpe, a lecturer in the program and one of the principal developers of Modern Portfolio Theory. Macroclimate incorporates such innovations in academic research and captures the cost advantages of institutional investing. It began in 2004 as a family office to better manage proceeds from the sales of Mark’s prior venture companies, and soon expanded to become a multi-family office serving other entrepreneurs and their families as well. 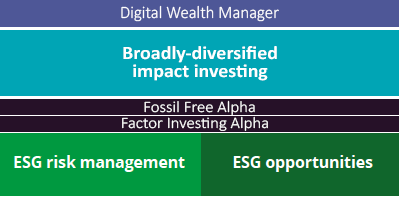 Now, through digital technology, we deliver environmentally-responsible, institutional-grade investing experiences to savvy investors anywhere in the U.S.
Macroclimate's Digital Wealth Manager service covers a broad spectrum of impact investing — with competitive returns. 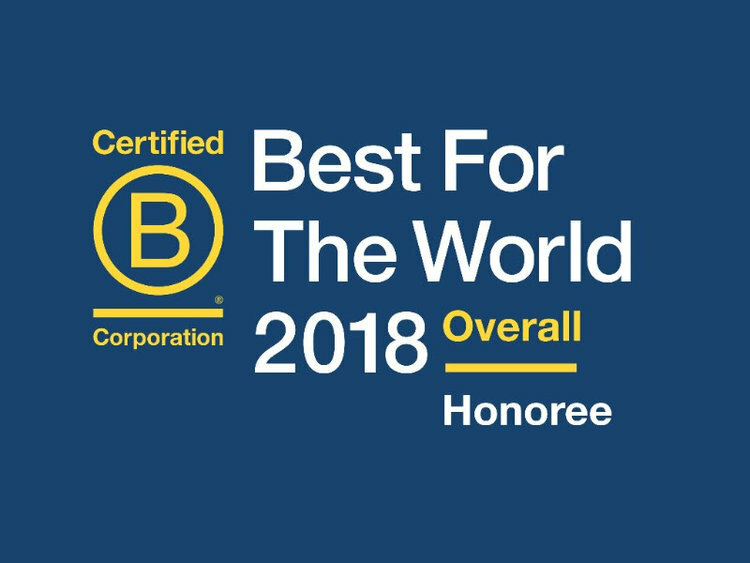 In 2018, Macroclimate was honored by B Labs as Best for the World in Creating Positive Impact. Through our sister company, Geofinancial Analytics, we’re also a leader in remote detection of major greenhouse gas emitters. Continuing research in behavioral economics, which combines the methodology of economics with the insights of psychology, also are considered, particularly in assessment of risk preferences, portfolio design, and behavioral coaching to improve investor decision-making. This is the core expertise of Peter Kriss Ph.D., Co-Founder & Partner. Asset-class mutual funds offer a scientific way to attain diversified portfolios at low cost. Institutional-grade asset class funds from Dimensional Fund Advisors (DFA) incorporate innovations in finance and academic research. 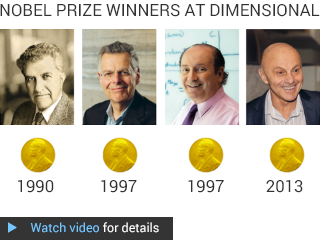 Four Nobel laureates in Economic Sciences have served as Directors and Resident Scientists of Dimensional Fund Advisors (DFA): Merton Miller (1990), Myron Scholes (1997), Robert Merton (1997), and Eugene F. Fama (2013). Macroclimate operates independently from DFA and doesn’t receive commissions or financial incentives of any kind for recommending DFA funds. We do so because: 1) our investment beliefs are well aligned with DFA; and 2) DFA funds offer a way to attain broadly-diversified Fossil Free portfolios at low cost. Capabilities of our Tech Team — led by Co-Founder & Partner Jesse Kriss — include data analytics, advanced web technology, and information visualization. The latter includes major projects for the Visual Communication Lab of IBM Research, The New York Times and NASA’s Jet Propulsion Lab. Our Client Services Team prides itself on providing flawless, consistent and reliable services.